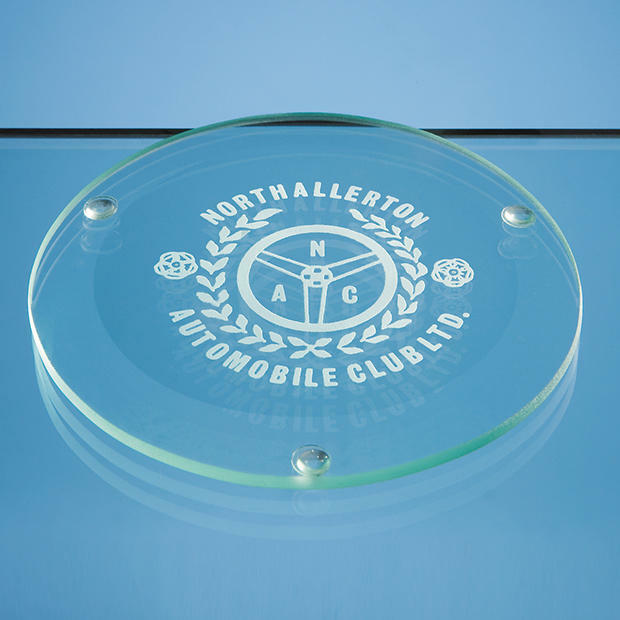 The 9cm round glass coaster is perfect gift for use as an advertising medium. Every time the coffee or tea arrives, so does your company name, and at an inexpensive cost. Lots of engraving space for any logo, text, or badge. Please note that prices shown do not include artwork, personalisation, shipping or VAT.